I spent two days last week at the California Primary Care Association (CPCA) office in Sacramento attending our Workforce Convening: A Pathway to Building a Long-Term Primary Care Strategy aimed at developing strategies to address California’s primary care workforce shortage. I am proud to have sat across the table with leaders and stakeholders from all sectors – academia, nonprofit, government, and business – to develop public policy and programmatic priorities and identify advocacy strategies. We can no longer afford to wring our hands about this problem. The time for action is now. For many years, community health centers have become increasingly vocal about the primary care workforce shortage in their communities. Each year, despite incremental efforts to address their concerns, the crisis has only worsened. The tremendous success of health care reform, resulting in the expansion of health insurance to five million Californians, only exacerbated this brewing crisis. Two years ago, CPCA decided it was necessary to tackle the issue head-on. We had to make it THE issue for CPCA and our newly formed advocacy affiliate, CaliforniaHealth+ Advocates. To help quantify the challenge, CPCA commissioned a report last year that found California would need 8,243 additional primary care physicians, or 32 percent of our current workforce, by 2030. 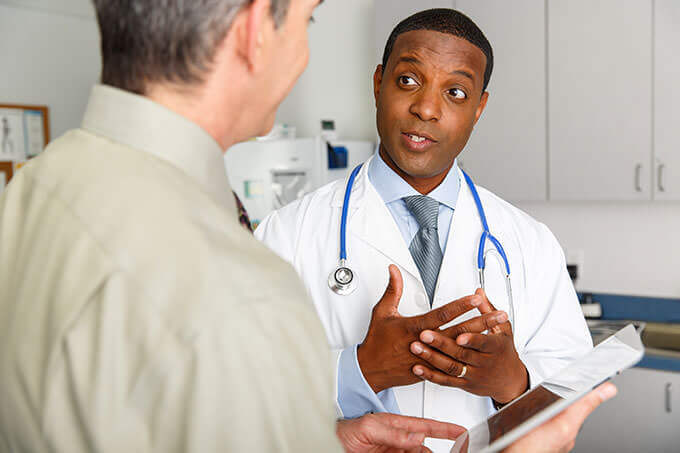 The report, titled “Horizon 2030: Meeting California’s Primary Care Workforce Needs,” provided a sobering analysis of the situation and underscored the challenges health centers face in the recruitment of primary care clinicians. Responding to CPCA’s report, CaliforniaHealth+ Advocates developed a multi-pronged advocacy strategy to bring about much needed solutions. The centerpiece of this strategy was a successful joint advocacy campaign with the California Medical Association and the California Academy of Family Physicians, among others, to secure an investment of $100 million for primary care workforce programs in California. This monumental appropriation was designed to support and expand primary care residency programs, teaching health centers, and help recruit providers to practice in medically underserved areas. We were particularly pleased with the investment in Teaching Health Centers, which will result in utilizing community health centers as residency training programs for physicians – greatly increasing the likelihood that they will practice in primary care in an underserved community. Coming into 2017, California’s health centers were excited and energized, ready to build on our funding victory to begin addressing the myriad of issues that plague our ability to educate, train, recruit and retain the professionals that keep our state healthy. But, our excitement and energy was dealt a devastating blow when, in his 2017-18 budget proposal, Governor Brown eliminated the $100 million workforce investment – all of it. Backtracking on this investment hinders existing primary care residency programs and eliminates the potential for expansion or the development of desperately needed new residency programs in underserved communities. It was a shortsighted move motivated by placing immediate fiscal considerations over a recognition that California’s primary care work force, and thereby health care access for all Californians, is in jeopardy. CPCA recently partnered with the Healthforce Center at the University of California, San Francisco to publish a report titled “California’s Primary Care Workforce: Current Supply, Characteristics, and Pipeline of Trainees.” This report finds that previously identified deficits in California’s primary care workforce persist and will be exacerbated in the coming decade as the supply of primary care physicians in California retire. Our pipeline is insufficient to meet the population’s needs. The report also found that there are large disparities between the diversity of the California population and the diversity of all medical clinicians. While we have an overall shortage of physicians, our need is, and will continue to be, particularly great for physicians of color. By 2050, racial and ethnic minorities are projected to account for half of the U.S. population. Currently, Latinos represent 40 percent of California’s population, but only represent five percent of physicians. Less than 20 percent of physicians speak Spanish, and physicians who speak Middle Eastern or Asian languages are even less prevalent. Among advance practice graduates, the statistics are starker. Latinos only represent seven percent of allopathic medical school graduates, three percent of osteopathic medical school graduates, nine percent of nurse practitioner graduates, and 14 percent of physician assistant graduates. College degrees in science, technology, engineering and mathematics (STEM), which feed advanced healthcare practice degrees, may contribute to these insufficient results. According to a recent Addeco report, approximately 271,000 graduates a year earn a degree within a STEM, but in 2013, Latinos represented only nine percent of total STEM degree and certificate recipients. This diversity shortage is particularly acute for community health centers. Of the 6.2 million patients we serve, 54% are Latino and 36% percent speak a language other than English. The current situation is simply unacceptable and is only projected to worsen. As organizations which have committed themselves to addressing this crisis, CPCA and CaliforniaHealth+ Advocates are already working to find solutions. Stop the Budget Cut: Governor Brown’s 2017-18 budget proposal eliminates the $100 million primary care workforce investment that the legislature and Governor committed to just last year, it must be stopped. This money was intended to support and expand physician training programs in California. If the funding is not reinstated, there isn’t room for expansion and existing programs may falter. We are advocating for funding restoration in the state’s 2017-18 budget and beyond. Thankfully the Assembly Budget Subcommittee, led by Assemblymember and Emergency Room physician Joaquin Arambula, took the first step towards defeating the proposal when they voted unanimously to reject the Governor’s proposal on Feb. 28. Save the Teaching Health Center program: Teaching Health Centers focus on training primary care physicians in community health centers. They are in jeopardy if Congress fails to enact legislation that extends funding for the Teaching Health Center Graduate Medical Education (THCGME) program past September 30, 2017. The two-year partial-funding extension Congress approved on a bipartisan basis early in 2015 will sunset unless Senators and Representatives agree on similar legislation in the next few months. We are advocating for a long-term extension of funding at pre-2015 funding levels. Advance policy solutions: The public policy priorities and advocacy strategies developed in the recent two-day Workforce Convening will form the basis of a multi-year public policy agenda. It was my honor and privilege to bring such a distinguished group together to find real solutions. Now we must put energy and effort into getting these solutions adopted and implemented. As community leaders who are committed to the health of California, we need to lead the charge on addressing the workforce crisis. We need to protect funding for training and education. We need to protect our programs and create new ones. We need to find long-term solutions that will withstand the test of time. CPCA is committed to leading the charge to address the diversity of the primary care workforce of the future. The health of everyone in our state depends on it. Every day since last November’s election, we have waited with anticipation, wondering what President Trump and the Republican Congress would do with the Affordable Care Act. Through all the tweets, leaks, concept papers and trial balloons, our concern and trepidation grew. The President told us it would be great. Congress told us they had “a better way.” These are promises we were leery of. After 117 days, they finally released their plan – the American Health Care Act (AHCA) – and they were both wrong. Plain and simple it’s bad. It’s really bad. You can read our analysis here, but it’s everything we had feared, and more. The Republicans are rolling back healthcare coverage for our most vulnerable communities. They are adopting a healthcare rationing formula called a “per capita cap” for Medicaid, which will force states to reduce Medicaid eligibility and coverage. Previously uninsured adults, who gained coverage for the first time under the Medicaid Expansion, will once again be at risk of losing coverage when the federal government reduces their share of program funding. The AHCA will defund healthcare exchanges by eliminating consumer subsidies. The AHCA will defund Planned Parenthood. Through the AHCA, Republicans are abandoning hard working, low-income people who need our help the most. It’s truly devastating, because, in California, the Affordable Care Act is working. Five million people who previously were uninsured gained coverage under the ACA in California – 3.7 million under the Medicaid program and 1.4 million in Covered California – the most successful health care exchange in the country. People are healthier. Communities are healthier. Parents can go to work, children can go to school, and tens of thousands of healthcare workers have good jobs that provide for their families. It has changed millions of Californians’ lives for the better. The AHCA, commonly referred to as TrumpCare, is the exact opposite. It will increase sickness, suffering, and pain for patients and healthcare providers. According to the report that was just released from the Congressional Budget Office and the Congressional Joint Committee on Taxation, 24 million people will lose their insurance coverage by 2026. 14 million people will lose their coverage in 2018 alone. At the state level, the impact will be just as devastating. According to a report by Capital Link, 1.5 million Californians served by community health centers could lose access to Medi-Cal services if the ACA is rolled back, exchanges are eliminated, and Congress doesn’t renew operational funding for community health centers. The financial stakes are just as high; the state could see a $3.8 billion economic reduction and a loss of over 27,000 jobs from the community health center system alone. For the people being kicked out of Medicaid and Covered California, Republicans have touted Health Savings Accounts and Tax Credits as the answer. But, as I shared on my blog in February, found here, HSAs and tax credits are designed for the rich. For low-income people, they are a plan for bankruptcy, not healthcare. The per capita cap proposal transforms a compassionate entitlement program, which ensures every covered person gets medically necessary care, to a highly vulnerable budgetary line item that could be decimated by the state budget debate. Patient protections enshrined in the ACA will be hit as well. Barriers to care, which the ACA systematically dismantled, will be restored under TrumpCare. Essential health benefits – eliminated; funding for prevention and public health – eliminated; income stability protections – eliminated; enhanced match rate for Children’s Health Insurance Program – eliminated. TrumpCare is a plan to make things worse. Simply enrolling in Medicaid will become more difficult under the new plan. For example, TrumpCare eliminates an ACA-allowed grace period that allowed people to get care while they waited to get a copy of the required citizenship and immigration documentation. Now, all documentation must be presented at the time of enrollment. Retroactive eligibility, that allowed Medicaid to cover medical bills incurred right before enrollment, has been cut short, too. Another significant barrier is coverage redetermination, which will be required every six months, rather than the already arduous annual process. Overall, TrumpCare creates more bureaucracy, less coverage, and fewer providers. That is the opposite of great. I could go on and on about the negative implications of TrumpCare, but I will save you the grief because I think you get the point. TrumpCare abandons the low-income communities we have spent a lifetime protecting and I cannot support it. I hope you would agree.